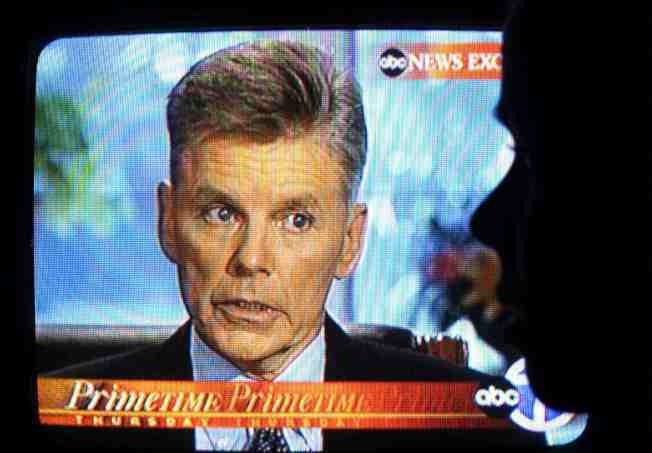 Former Rep. Gary Condit became the media-obsessed target in the Chandra Levy case. As media focused on the scandal, many major stories were missed. After eight years, it looks like the case of Chandra Levy -- the other 20-something young Washington intern caught up in swirling political intrigue and scandal -- has finally been solved. The news first broke in spring of 2001 that the Bureau of Prisons intern had disappeared. Shortly, it came out that she'd been having an affair with her elected former boss -- a House member from California by the name of Gary Condit. Home ownership on steroids. Lack of oversight on Fannie Mae and Freddie Mac. Economic deregulation of Depression-era rules. A bubble economy partly fueled by the country's trade imbalance, etc. Simply put, a decade that could be characterized a la Seinfeld -- as being "about nothing" -- produced a media more focused on the soap operatic side of politics rather than seriously striving to examine policy. Soon, the whole story seemed like a dark version of the lurid saga that had captivated the country two years before -- two young girls seemingly taken advantage of by two powerful political figures. The Levy case was obviously more serious: While Clinton’s intern ended up in impeachment, Condit’s girl disappeared ( in the spring of 2002, her remains would eventually be found in DC's Rock Creek Park). But, in another way, it was quite similar to L'Affaire Lewinsky, as the media's single-minded focus on Condit, inevitably enabled the cops to ignore suspects other than Condit -- until now. More significantly, the obsession with Levy and Condit gave the press yet another convenient distraction from what -- nearly a decade later -- can be seen as far more significant issues. Yes, that includes the gathering clouds of terrorism that burst on the nation on 9/11. To some extent, we ask too much of newspapers, magazines, television outlets if we expect them to really predict what the long-term results will be of a given policy choice. However, in an ideal world, we might hope that journalism’s pack mentality might begin to retrain itself. The ‘90s produced too many seeds that went undetected until they’ve serially exploded upon the country over the last decade. The Levy case was the last story about nothing that contributed to our current state. That’s not to say she was "about nothing." She was a human being loved by her family and friends. Yet, media overkill may have helped cause the eight-year delay in solving this case. It’s role in helping delude the public in the critical issues of the day seems indisputable -- and tragic.